To understand nature and to do nanotech, one needs the ability to really see down to nanometers. 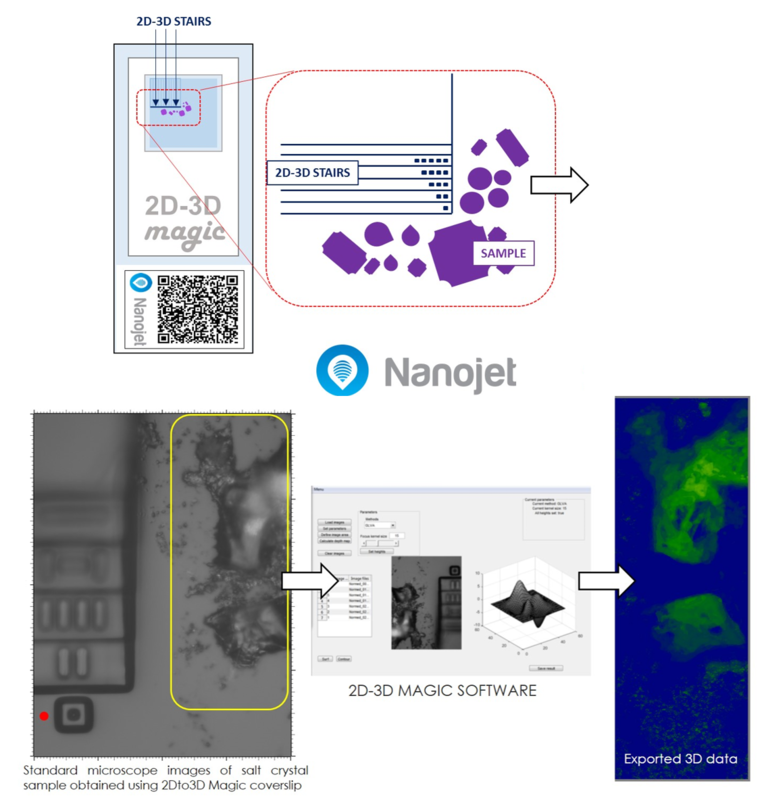 Current nanoimaging methods, for example AFM, SEM, STED and SNOM give you a looking glass into nanoscale, but with restrictions: The field of view is too small making imaging slow and cumbersome. Sample manipulation with dyes/markers is required or biological samples are not suitable at all – not to mention living samples. The measurement procedure is difficult, requiring an expensive expertise. By combining latest in optics and photonics, we present a new optical imaging innovation that tackles these limitations – Super-Resolution Nanoscope. Fig.2 Surface topologies of a Blu-ray disc groove pattern. 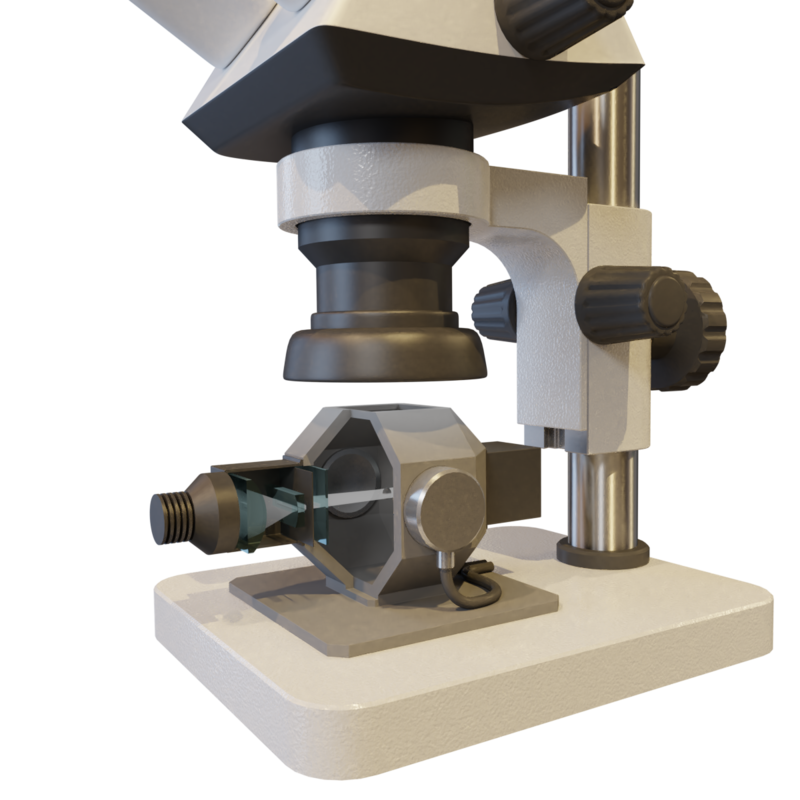 We have technology which allows 2D microscopes to take 3D pictures. Fig.1 2D to 3D magic usage protocol. The short coherence length of the white light can be used to find the surface profile of various objects: silicon wafers, micromechanical components, ceramics, biological samples, thin films etc. The optical system can be scaled to meet the needs of the particular application by adjusting the magnification, the light source wavelength etc. The resolution is in nanometer range (1-2 nm) and with phase-shifting (and smaller measurement range) the resolution in the range of 0.1 nm is achieved. Micro (Opto) Electro Mechanical System (M(O) EMS ) devices are produces in increasingly large quantities. A reliable method for dynamic 3D profiling is required for a quality control (QC) process. 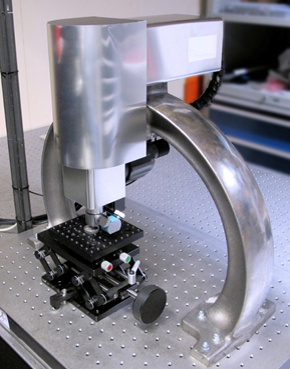 For static 3D profilometry, scanning white light interferometry (SWLI) is a well-established method (see above). However for dynamic measurements at frequencies higher than about 1 kHz, conventional CCD-cameras used for SWLI are not fast enough to acquire clean profile data. If the vibration frequency of the sample is higher than frame rate of the camera, the image will appear to be blurred. Using stroboscopic illumination synchronized with the periodic oscillation of the device under test, the problem can be circumvented (Fig. 1). In practice a short light pulse is produced at a certain phase angle of oscillation. While integrating over number of periods, information is acquired only during the light pulses. 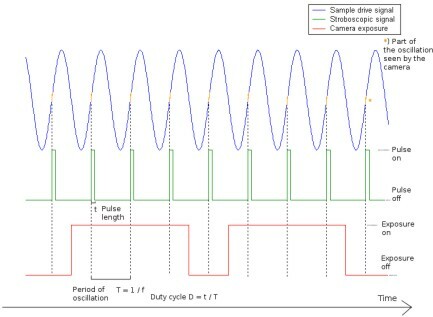 If the pulse length is short compared to the oscillation period (less than 10%), and the synchronization is stable, a quasi-static image is acquired from the phase angle in question. Changing the relative phase of illumination effectively allows measurement of arbitrary part of oscillatory motion. 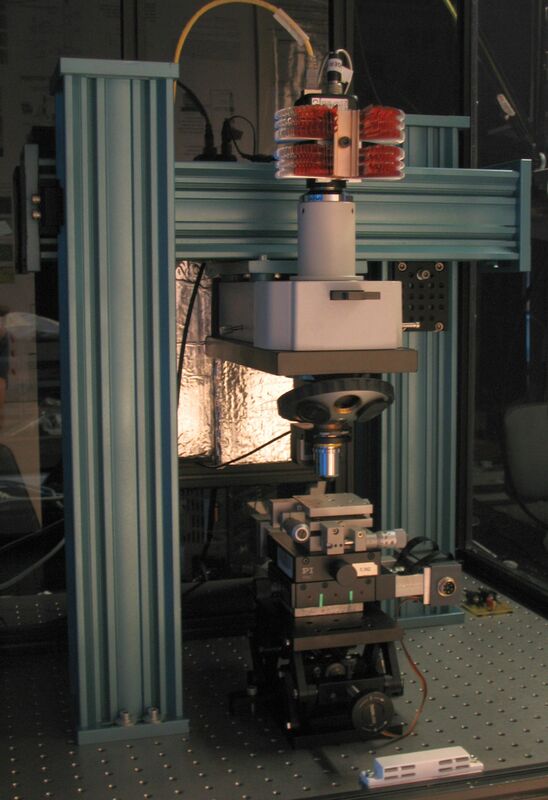 Our objective is to modify an existing white light interferometer for dynamic 3D profile measurement of MEMS devices. By using a stroboscopic LED setup (Fig. 2), the oscillation can effectively be frozen. The two-channel function generator is used to provide voltage for both the sample under study and the LED used for the illumination. 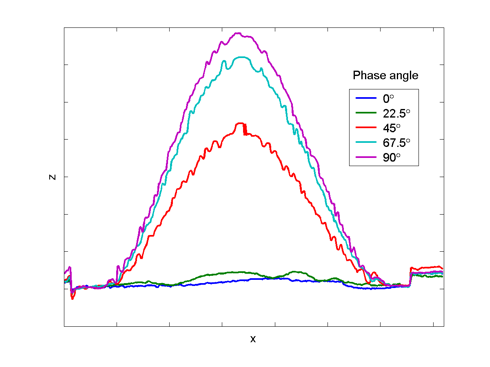 The channels are synchronized together, and by adjusting the inter-channel delay, stroboscopic imaging of arbitrary phase angle of the oscillation period is possible. We study shock wave interaction in air using quantitative Schlieren imaging. 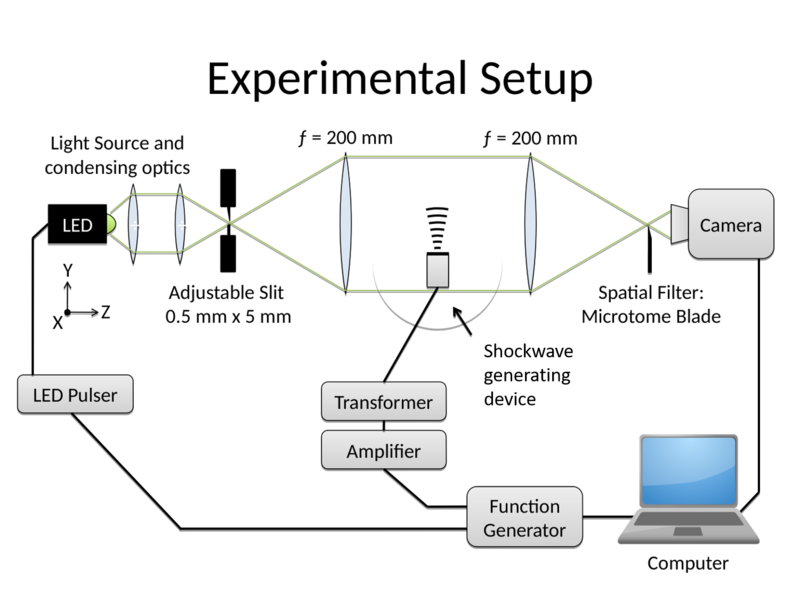 Below is shown the experimental setup and an example of shock wave travelling in air. We are creating a new Immersion microscopy module, where we combine light sheet microscope with a new kind of sample holder.